With my own PIP reassessment coming up I am trying not to get stressed but it’s still difficult. With so few medical professionals knowing what TM is how can I expect the assessor to know? These four still plague my life every single day). Currently I have an infection – I have constant issues with my toenails and because of the numbness don’t feel the ingrowing nails. I dug out the latest on my big toe on my right foot and it seems to be infected now, yay! Also it’s summer so it’s hotter, and because of the pain I am not sleeping a lot. This all, obviously, causes me stress. So atm all my symptoms are going haywire. 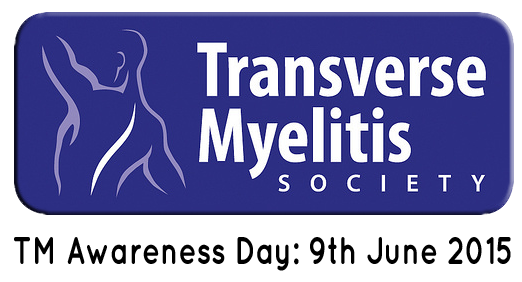 TM Awareness Day – Fact 1: A GP in the UK will, on average, encounter a case of Transverse Myelitis once in a hundred years.